Competition is growing in the mortgage market for older borrowers, with two new providers launching retirement interest-only mortgages (RIOs). Leeds Building Society has launched a fee-free retirement interest-only mortgage and Saffron Building Society has introduced a new discount offer. The two new deals are an option for older borrowers who want to release some cash. They could also offer a lifeline to those trapped on existing interest-only mortgages they are unable to pay back. Which? takes a closer look at the new retirement interest-only mortgages on the market and how they compare. Looking to borrow later in life? Call Which? Mortgage Advisers to discuss your mortgage options on 0800 197 8461. What are the terms of the Leeds Building Society deal? The new Leeds Building Society Retirement Interest-Only mortgage offers a fixed rate of 3.83% for five years and is available up to 55% loan-to-value. The deal comes with a free standard valuation and no arrangement fees – which Leeds claims is a first for this type of product. The repayment method is interest-only, but you can make up to 10% capital repayments every year too. The deal is available both to people buying a new home and those remortgaging their current property. Leeds will accept the future sale of the property as the repayment vehicle for this loan and will assess affordability through a borrower’s current and future income, meaning that if you’re soon to retire they will take your reduced earnings but also your pension into account. The deal is available to borrowers aged between 55 and 80 at the point of application. There is no minimum equity required and the maximum loan size is £1.25m. If you repay the loan (for example by selling the house or remortgaging with a different provider) within the first five years, you will have to pay an early repayment charge. This will cost 5% in years one and two, 4% in year three, 3% in year four and 2% in year five. Leeds does not offer this deal direct, so you will need to contact a mortgage broker such as Which? Mortgage Advisers to discuss whether this option could work for you. Find out more: how do retirement interest-only mortgages (RIOs) work? How about the Saffron Building Society deal? The Saffron Building Society Lending Into Retirement Downsizing deal is a three-year discount mortgage offered at 60% loan-to-value. It offers a 2.7% discount on the lender’s standard variable rate, meaning its initial rate is 2.94%. The terms of the mortgage mean that the minimum rate it could drop to is 2%, and the deal is available to those looking to purchase or remortgage. There is a £999 fee to arrange the loan, which can only be done through a mortgage broker. The repayment method is interest-only and Saffron will accept sale and downsizing to another UK residence as a repayment strategy. Borrowers are free to repay the loan after they retire. However, you must have a minimum of £250,000 equity in your property if you want to use downsizing as your repayment plan. The minimum loan is £30,000 and you can borrow up to £1m. You will need evidence of retirement income for the affordability check and examples of properties you could downsize to as proof of your repayment strategy. There is no age restriction on this product but you must not be more than five years away from retirement when you apply. How do the new deals compare to the competition? The new deals join a growing range of retirement mortgages designed to help older borrowers release cash or escape interest-only deals they can’t afford to pay back. Aldermore Bank, Bath Building Society, Hodge Lifetime, Loughborough Building Society, Post Office Money, Scottish Building Society, Shawbrook Bank, Tipton & Coseley Building Society and Vernon Building Society all offer options. The criteria for each deal can be quite particular and many are only available through a broker. You can see a detailed breakdown of the criteria for each lender using our guide retirement interest-only mortgages explained. For a free consultation around whether a retirement interest-only mortgage is right for you, and an expert recommendation on the best deal for your circumstances, call Which? Mortgage Advisers on 0800 197 8461 or fill in the form at the bottom of the article for a free callback. What are RIO mortgages and who are they suited to? Retirement interest-only mortgages allow older borrowers to pay back the interest on their mortgage but not the capital (the sum borrowed to cover the cost of the house) each month. The capital is usually repaid when the borrower dies, moves into long-term care or sells the property. However, some RIO deals have terms, meaning the loan either has to be settled after a set number of years or when the borrower reaches a certain age. 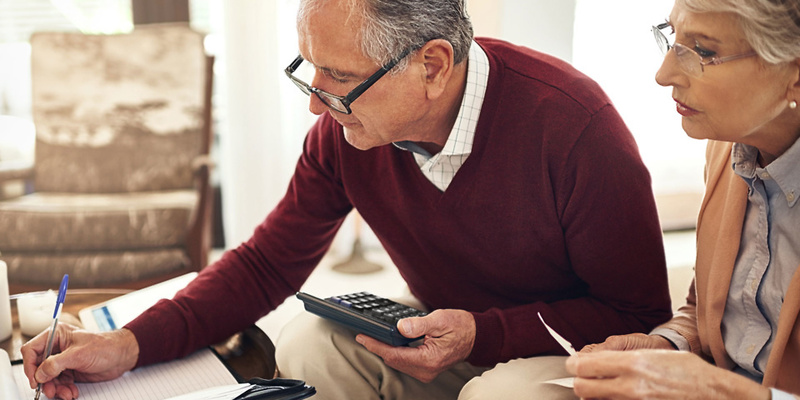 Older borrowers who are struggling to get a standard residential mortgage because of their age could benefit from retirement interest-only mortgages. RIOs might also be an option for those who are finding it difficult to remortgage from a standard interest-only mortgage, including the thousands of borrowers who took one out before the credit crunch, when they were sold to people without thorough checks being made into how they would repay the loan. People looking to release some cash from the value they hold in their home, perhaps to renovate or help out a younger family member, might also find RIOs an appealing alternative to equity release.